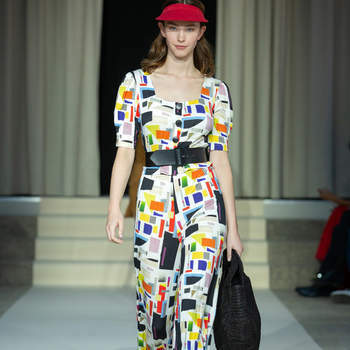 With London and New York in our rear-view mirrors, and Milan having just passed us by, Paris Fashion Week has too come to an end with one of the most unique and original catwalks that has left everyone awestruck. 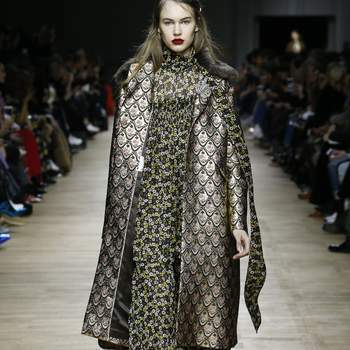 As the epicentre of style for the coming season, these incredible few days in Paris have really gotten us excited for the New Year! 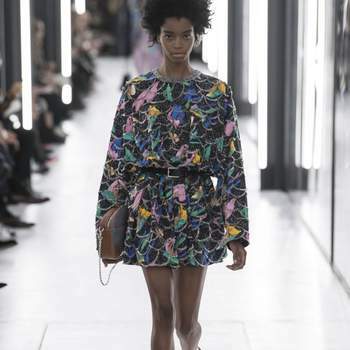 Chanel, who boasted guests such as Pamela Anderson and Ines de la Fressange on the privileged “front row”, had one of the most striking catwalks due to its artistic backdrop. 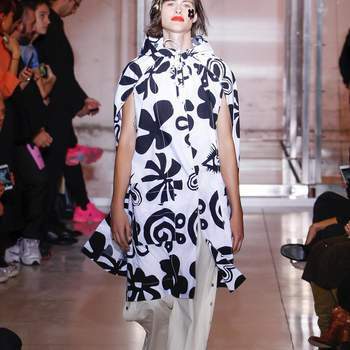 Karl Lagerfeld, artistic director of the firm, ordered the construction of an artifical beach under the vault of the Grand Palais in Paris. 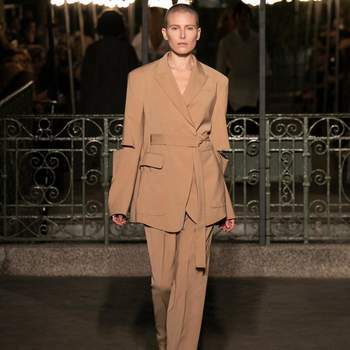 The wall of the backdrop, the sand and a wave machine created the environment through which their new season was showcased – which of course included the classic Coco Chanel suit (a tweed jacket and a knee-length pencil skirt)! 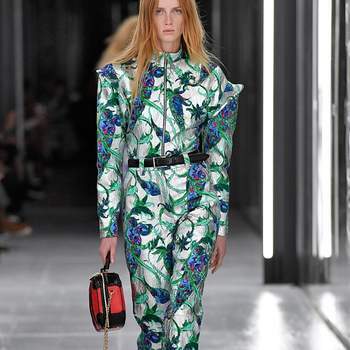 Louis Vuitton looked to the future just outside of the Louvre Museum with a collection with a mix of jackets and minidresses, that counted amongst its guests the incredible Cate Blanchett, Alicia Vikander, Lea Seydoux and Catherine Deneuve. 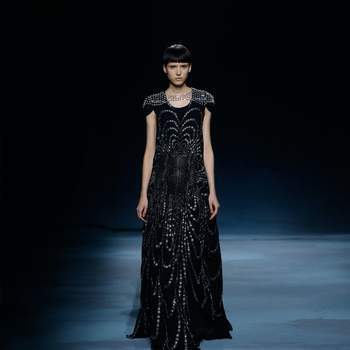 In the Luxeumburg Gardens, Alexander McQueen – now under the control of Sarah Burton – explored what it means to be a woman, expressing its reflections with dresses with Victorian and guipure embroidery, and floral themes alongside leather jackets. 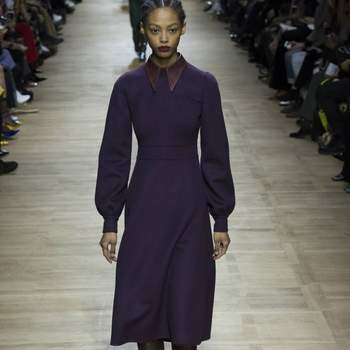 Stella McCartney, Balenciaga and Dior were also present in Paris, and did not go unnoticed. 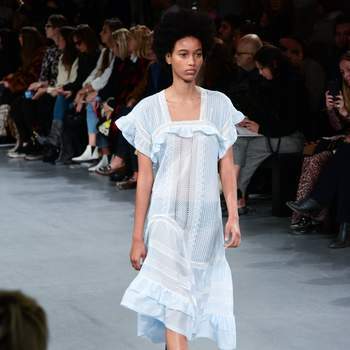 For the former, the daughter of ex-Beatle Paul McCartney debuted her first two collections, one more feminine and the other with a more 90s-theme, in which we saw playsuits, XXL raincoats, semi-transparent pieces and wispy dresses. 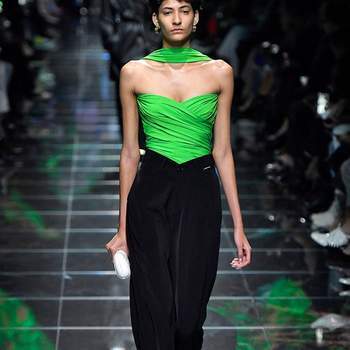 Balenciaga’s collection featured pieces in all-black, and others in bright, attention-grabbing colours, in a throwback to the 80s. 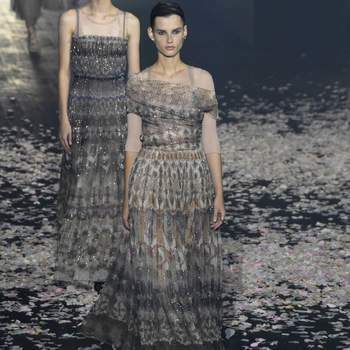 Dior was the most feminine brand on show in Paris, with looks inspired by the ballet, with tulle, gauze, crepe and silk all playing prominent roles – recently-married Italian influencer Chiara Ferragni, the Hadid sisters, Blake Lively and Jennifer Lawrence were all there to see its debut. 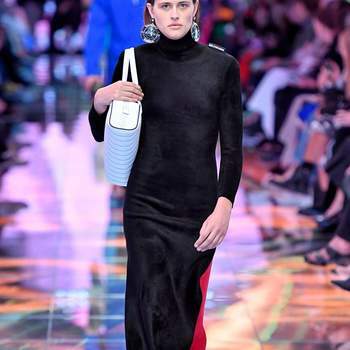 Gucci had amongst its special guests the actress Faye Dunaway (who made her name in the 1960s with the film Bonnie & Clyde), and Hollywood stars Jared Leto, Soko and Salma Hayek. 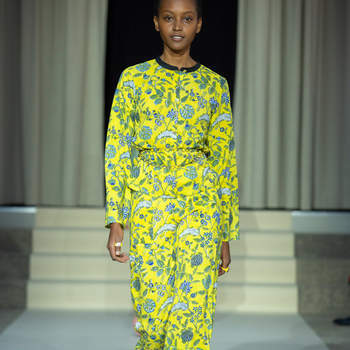 For its part, Dries van Noten surprised the audience with a fantastic Spring range based on yellows and greens for both day and evening wear. 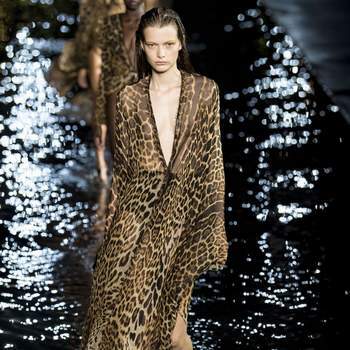 Saint Laurent put their new collection to the test in Trocadero Square; black, ruffles, bohemian vibes and animal print all made their own unique appearances, with the Eiffel Tower a witness to the diversity and innovation of their range. 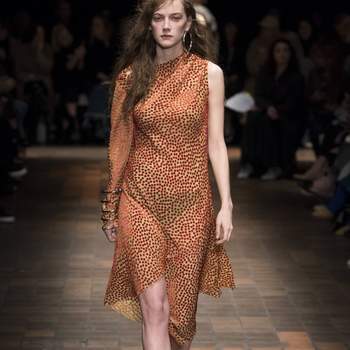 And speaking of animal print, expected to be the defining trend of the season, Rochas made a splash with their collection which made extensive use of it. 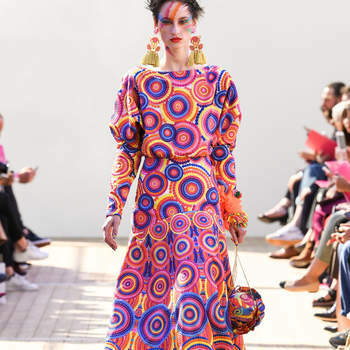 The Indian designer Manish Arora showed off his new collection which was designed in collaboration with the French designer Paris Saint Germain (PSG), and Rahul Mishra made everyone fall in love with his most recent partnership with the prestigious French designer Agnès B., who together showcased the best of the season to come. 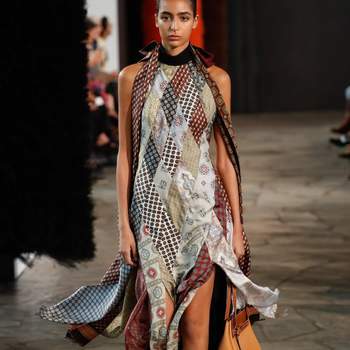 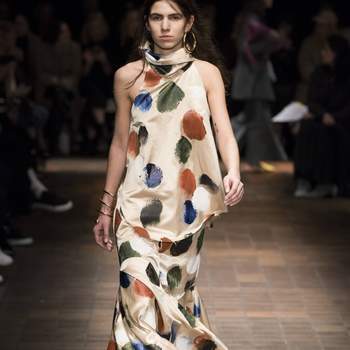 Also debuting a new look for the new season at Paris Fashion Week were Marqués Almeida, Altuzarra, John Galliano and Sonia Rykiel, who wowed the catwalk audiences with bold colours, and ecological features. 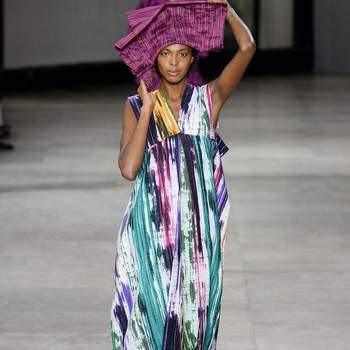 And amongst all of these wonderful clothes were some of our favourite fashion houses, including Chloé and Paul & Joe. 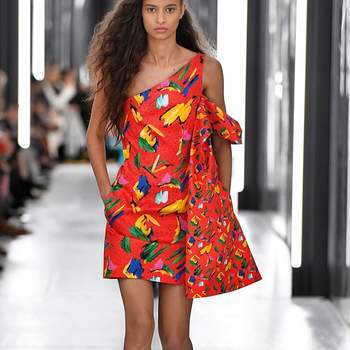 But the best way to experience Paris Fashion Week is not to read about it, but to see it! 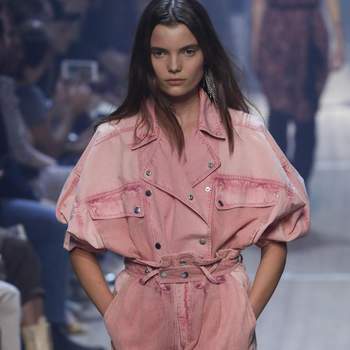 Scroll through our gallery to discover the latest looks for Spring-Summer 2019 – you’ll love them!